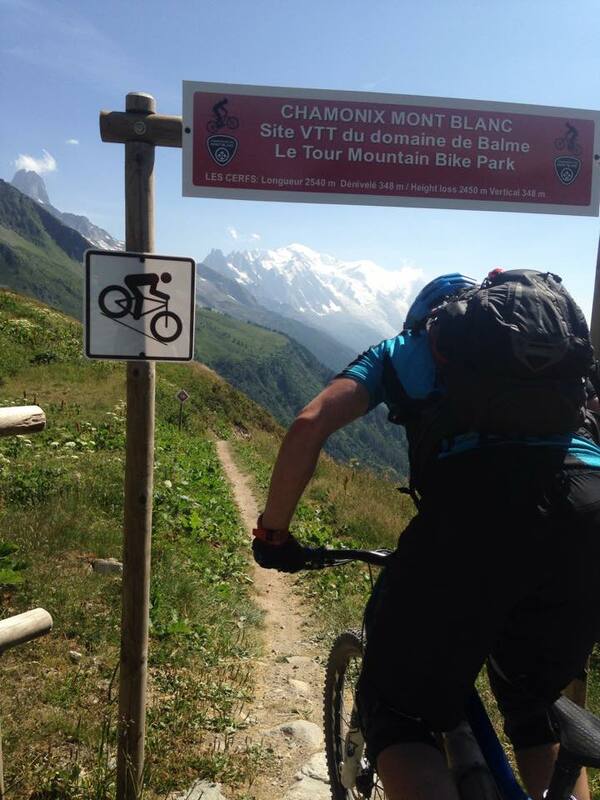 The circuit of Mont Blanc is one of the great alpine mountain bike adventures. 7 days including arrival and departure days. 5 days of guiding with half board accommodation (dinner, bed and breakfast). 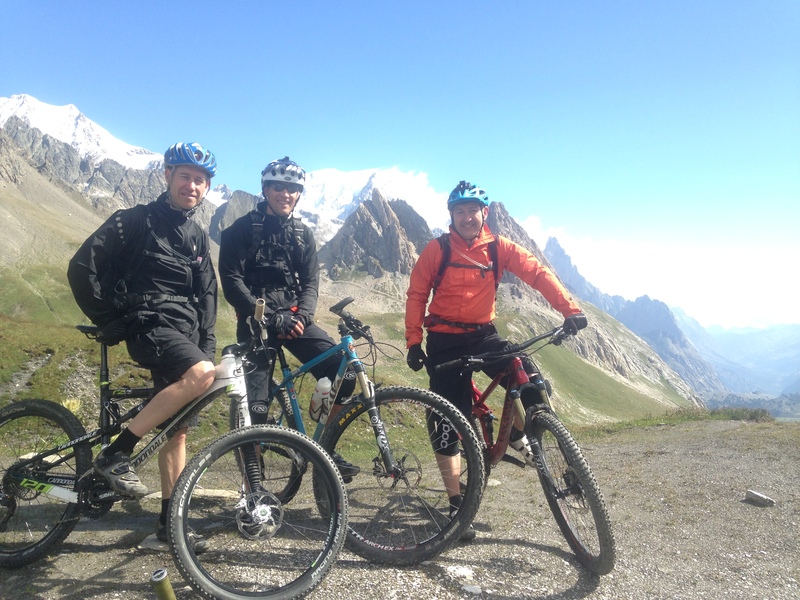 This tour is for purist riders who wish to complete this classic Tour du Mont Blanc route without road transfers or cable car assistance. En route, we cross several high passes which reveal breathtaking and ever-changing views of Europe’s most famous mountain range. 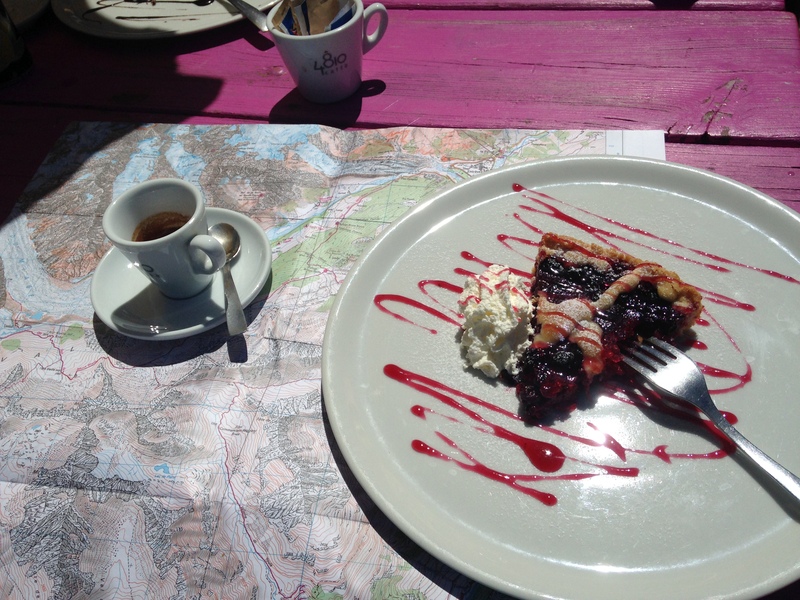 This ride encompasses three countries, combining excellent riding, spectacular scenery and accommodation in charming high alpine villages. Prices from €750 p.p. Email us for a quote specific to your group size and needs. The TMB is the only one of our trips that we will sell as a self-guided route. Email us for details. The basic package includes five days of guiding with half board accommodation (dinner, bed and breakfast). You then decide the level of van support you want. Choose anything from the comfort of full van support with airport transfers to toughing it out carrying your own gear. We will arrange whatever level of support you choose. You can also shorten the length of time taken to ride the route if you are fit and experienced riders. Email us for more information. Choose your own dates. We will run this trip from late June to the end of September. Any earlier and there may be too much snow on the high passes. Any later and the refuges and mountain hotels will be closed. We normally run the standard length trip from Sunday to Saturday but we are flexible on this. If you are a single rider looking to join a group please email us to register your interest. Fly or take the train to Geneva airport and we will arrange collect you and take you to the first night hotel in Chamonix. You can also drive over and leave your car at the first/last night hotel. This is a challenging route and to be undertaken by fit mountain bikers who ride regularly. There are six hard climbs that will involve some pushing and carrying of the bike. 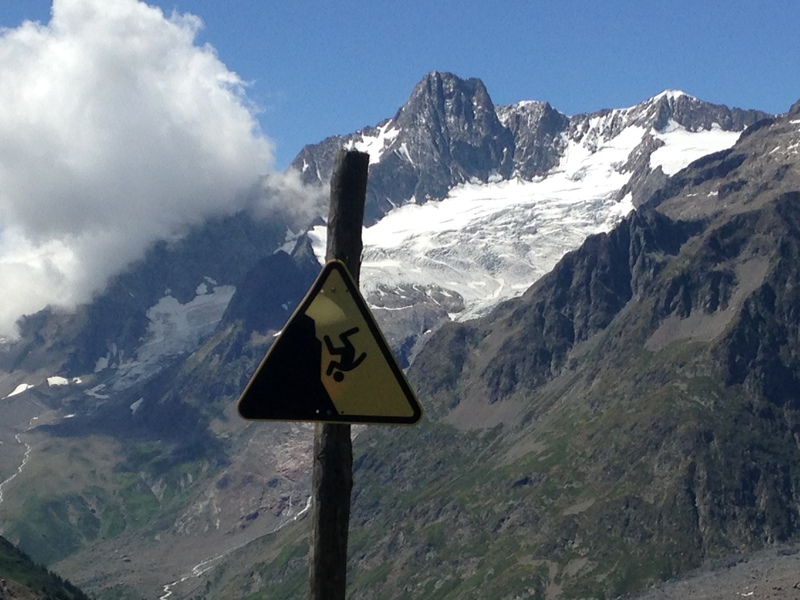 There are some steep descents where technical down hill skill is needed but walking difficult sections is an option. 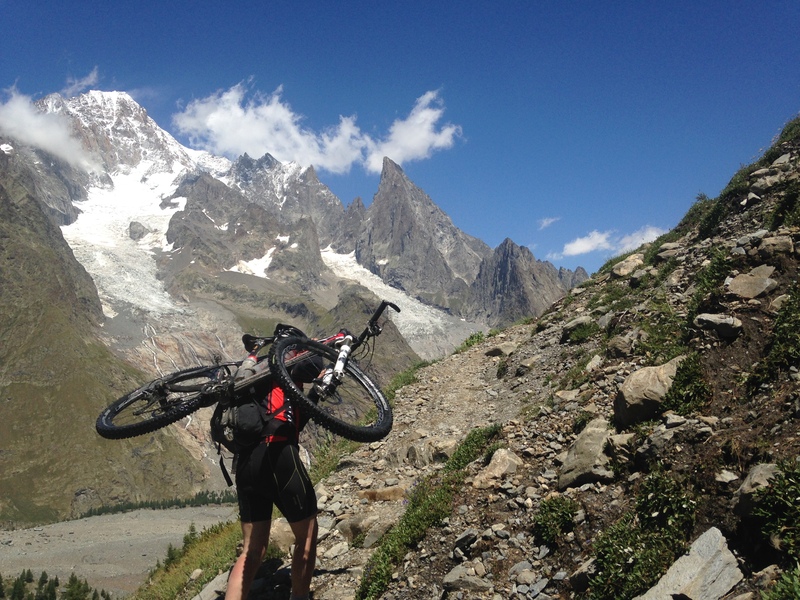 We climb and descend around 7750m on this trip in 5 days, covering 175km.